The volcano Mount Agung erupted while Park City High School students were visiting Bali doing humanitarian work. Students who were scuba certified were able to visit a sunken U.S. ship from World War II during their trip to Bali. When Jack Hanskat heard about the memorable experiences his friends had in Nepal last summer, he immediately found a job and started pulling from his college savings fund. He was prepared to do anything possible to make it on the Park City High School summer humanitarian project. After returning from Bali, Indonesia, a few weeks ago, he said it was worth every penny. 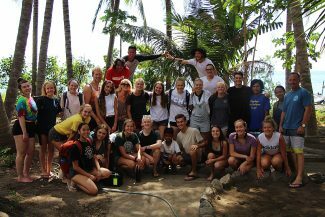 Hanskat, a recent graduate of Park City High, was one of 67 students who attended one of the two student trips to Bali this summer. George Murphy, a Spanish teacher at Park City High, has planned and led trips for students around the globe since 1998. The trips started out as a way for teens to visit Spanish-speaking countries to practice their language skills and learn about the cultures. But a decade ago, Murphy planned a humanitarian trip in Costa Rica and realized that there was more he could be doing with his trips. After that trip, Murphy's excursions shifted gears as he took students to Ecuador, Peru and Bolivia to build schools. The trips were partially funded by a 5k race and golf tournament held to honor five Park City High School graduates who passed away within seven months of each other in 2008. The newly constructed schools in South America served as memorials for the graduates. "After that, kids started asking, 'Where are you going next year?'" Murphy said. "We continued the project and the efforts to take kids on an experience (where) they are able to see a different part of the world, but also connect with different cultures and see how they live." The trips continued to India, Haiti, Cuba, Guatemala and Nepal. One of Murhpy's former students who co-founded the nonprofit Padma Organization helped arrange the service trip in Nepal. He then connected Murphy to contacts in Bali and Murphy put Bali in the books for 2018. In Bali, the high school students built artificial reefs and learned about reef restoration with the Padma Organization in Tianyar, since a large part of Bali's reefs have been damaged. 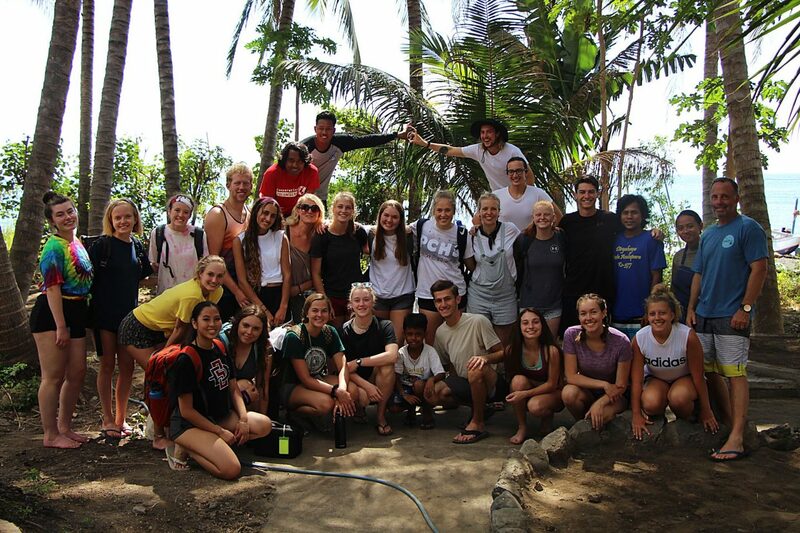 They then went to Nusa Penida to volunteer on a wildlife reserve with the Friends of the National Parks Foundation. 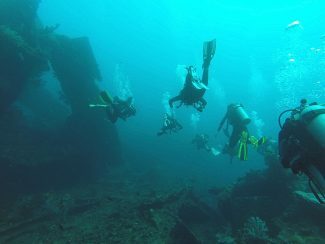 After volunteering, they spent time hiking, cliff jumping, riding scooters around the island and scuba diving, including a dive to a sunken U.S. ship that was hit by Japanese torpedoes in World War II. Despite the beauty of the island and the fun excursions they went on, Hanskat said that his favorite parts were playing volleyball with the local fishermen and getting to know them. "I loved the culture and the people the most," he said. One of the big differences he noticed in Balinese culture was that there was a slower pace to life. People did not spend their entire day working, but took advantage of breaks to play sports or play instruments. Murphy said that seeing the students gain relationships with locals is what makes him continue to host them each summer. He believes that it is important for youth to experience different cultures. Plus, he said that they learn to appreciate the opportunities they have had in life. "They face different challenges and problems, and I want our kids to see that and to appreciate what they do have," he said. 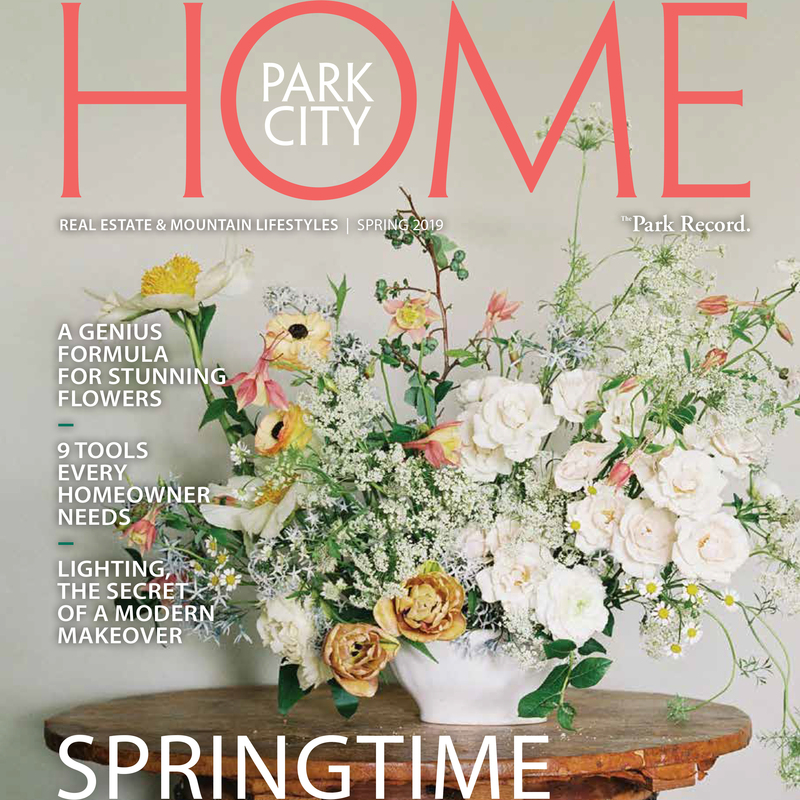 Britney Sanchez, an incoming junior at Park City High, felt that gratitude when she was on the bus one day and saw an elderly man carrying what appeared to be a heavy load on his head while trekking up a hill. She sat and wondered what it would be like to be in his shoes and for him to be in hers. She also realized that in Bali, many of the people do not have a lot of material possessions, but they are OK with that. She said that she hopes to be more grateful and satisfied with her life moving forward. "If we would all live in that mindset, I think that things would be a lot different," she said. There were some challenges to the trip as well. 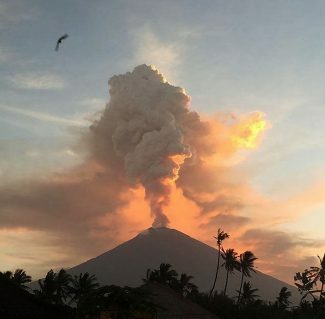 Several students got sick from the food and water, and the students were next to the volcano Mount Agung when it erupted, which temporarily shut down the airport. But in general, Murphy said that the trip was an amazing and life-altering experience for many of the students. Year after year, he sees the students come back with a new passion for service or travel, and he is glad that what he is doing appears to be making a difference in the students' lives. For Hanskat, it certainly did. It was his first time out of the country and he said that he now has the travel and service bug. "I'm definitely itching to go see more of the world," he said. "I absolutely loved it and would go back again in a heartbeat."